Angry Birds is one of those games which either invokes emotions of extreme joy with mobile gamers, or manages to send you down the other path entirely and frustrate and annoy you to the point of deletion. As an iPhone and iPad owner, the game has single handedly managed to drive me round the bend as well as filling countless hours of boredom with the excitement that comes attached with flinging rage filled birds with varying powers at lethargic and nomadic swine. Regardless of my personal love-hate affair with the Angry Birds franchise, it’s an undeniable fact that Rovio has enjoyed phenomenal success with the game, and if the latest teaser is anything to go by, then it looks like we could be in for another installment. The BadPiggies.com website looks innocent enough with a rather mischievous and smug little red birdie adorning the screen, but everything changes when clicking on the naughty avian. Rovio has uploaded a new teasing video that has been given the title "Something PIG is coming" and takes us on a thirty-two second journey into the possible future installment of Angry Birds. Fans of the original game, and all sequels that have come off the back of it will be familiar with the art of flinging varying colored birds at little green pigs that have managed to shield themselves from harm in rather flimsy and poorly constructed structures. But could the roles be about to be reversed? 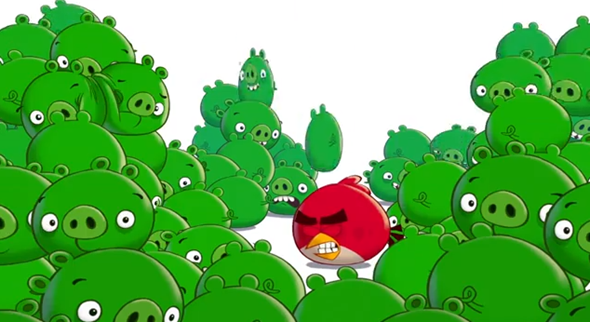 The video shows a number of green pigs falling from the sky to take over the screen and suffocate the usually dominant bird. 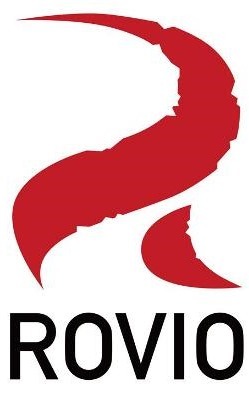 It immediately gives the impression that Rovio is set to introduce a new variant of the game that exchanges the roles and puts the submissive pigs in the driving seat, or the catapult, as the case may be. Unfortunately for us, the video doesn’t really give any additional information. No indication of supported platforms, release dates, gameplay, or even if this new creation will conform to the usual Angry Birds setup that we have become accustomed to. Check out the teasing video and see if you find yourself rooting for the underdog as those little pigs gain the upper hand, and remember, something PIG is coming. We just don’t know when.